EUROPE’S sunny southern isle is an ideal mix of family-friendly port towns —Paphos, Limassol and Larnaca stand out—spectacular beaches and rolling landscapes of vineyards, cedar forests and mountains, interrupted only by the silhouettes of Byzantine churches. Tourism levels for Cyprus are on the rise—the number of visiting Britons, who account for more than 35% of visitors, rose by 8.9% in 2017, and counting. This renewed confidence has led to significant investment, with a number of new developments on the horizon. 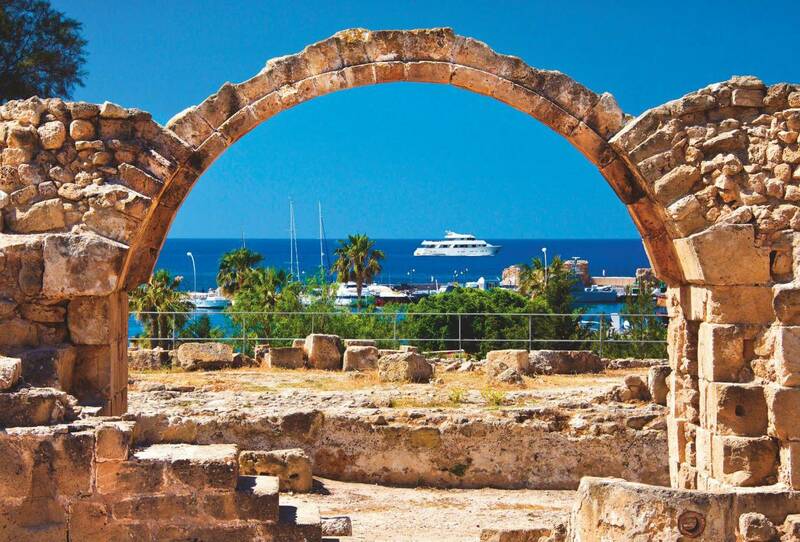 Paphos, in the west of the island, boasts fine antiquities (last year, it was one of two European Capitals of Culture), but Limassol, a small city with smart hotels, is increasingly gaining traction as the island’s most international and sophisticated destination, which continues to reinvent itself. The elegant old quarter has an attractive covered market, a small medieval castle and lots of bars and restaurants. This month sees the launch of Trilogy, the latest in a string of high-end developments. Consisting of three city-centre towers overlooking the seafront, with various leisure decks (some halfway up the towers), tennis court, children’s play area, gym and restaurants, these are modern apartments with full home-office facilities. During the long Mediterranean summer, the island’s southern shore is a key sailing spot and two new marinas have sprung up. The first, Limassol Marina, has villas for sale with a private berth where owners can moor yachts of up to 197ft and are just a short walk from restaurants, boutiques and galleries. From € 2.95 million (£2.59million) for a three-bedroom villa (www.limassolmarina.com).